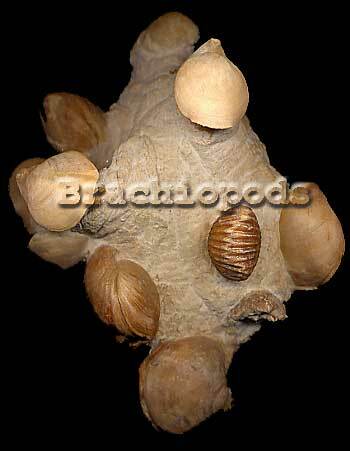 Brachiopoda or brachiopods are counted among the oldest fossils. We would like to introduce you to our collection of brachiopods with fossils from Paleozoic period up to Holocene, while passing by Triassic, Jurassic, Cretaceous and Cenozoic periods. These fossil and recent brachiopods will yield up to you some of their secrets, in paleontology, geology and paleoecology. Several chapters are also dedicated to their anatomy, fossilization and identification criteria.